Preheat your oven 180°C (350°F). Pre-prepare by greasing a friand bullion or muffin tin. Place the butter & vanilla over low heat, melting it & allowing it to bubble until it starts to go just golden in colour. Set aside to cool slightly. Place almond meal, icing sugar, flour & baking powder in a bowl & stir to combine. Beat the egg whites until stiff peaks form. Fold in the egg whites, and stir until just combined. Add the melted butter mixture & lime + lime zest, then fold again until just mixed in. Spoon approx. 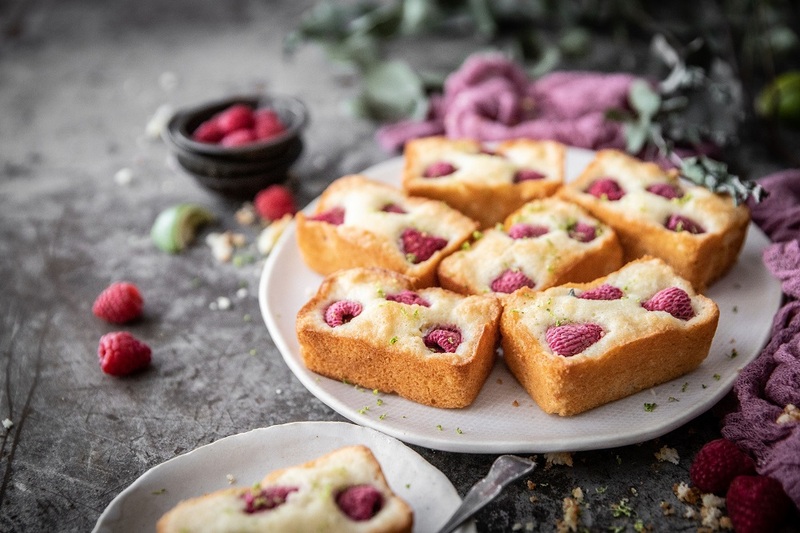 2 tablespoons of the mixture into each prepared mould, then place the fresh raspberries on top by gently pushing them in until they are just poking up from the mixture. Bake for 20-25 minutes or until golden & springy on top but still moist in the centre. Leave to cool for 10 minutes & turn out onto a wire rack. Simply dust with icing sugar. 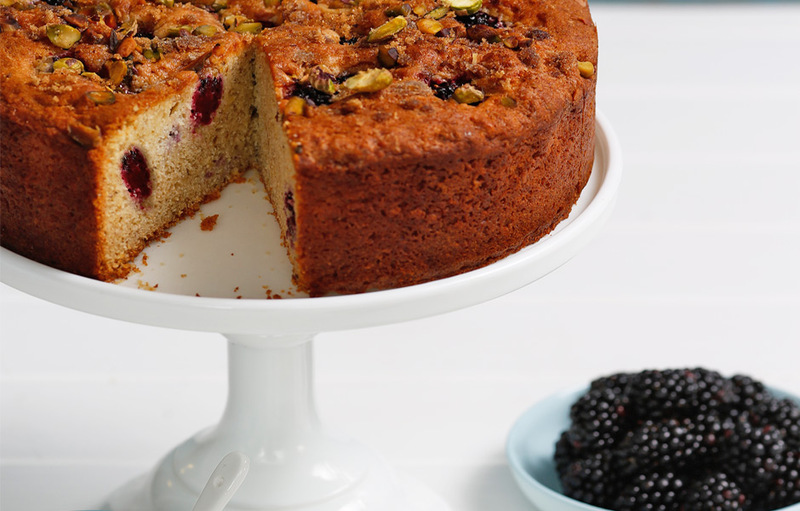 For an extra indulgence, warm friands and add a dollop of double cream. Whenever you have leftover egg whites, friands are a great solution. Egg whites can keep up to two weeks in the fridge if in a sealed container. Friands freeze very well. These make for a great lunchbox snack as they thaw just in time for morning tea as well as holding their shape. Replace the flour with a gluten free substitute to make friands for coeliac friends.